When I started writing professionally 30 years ago, the only writing tools I had were my dictionary, thesaurus, and Chicago Manual of Style… all hard cover books. Things have definitely changed, and for the better. 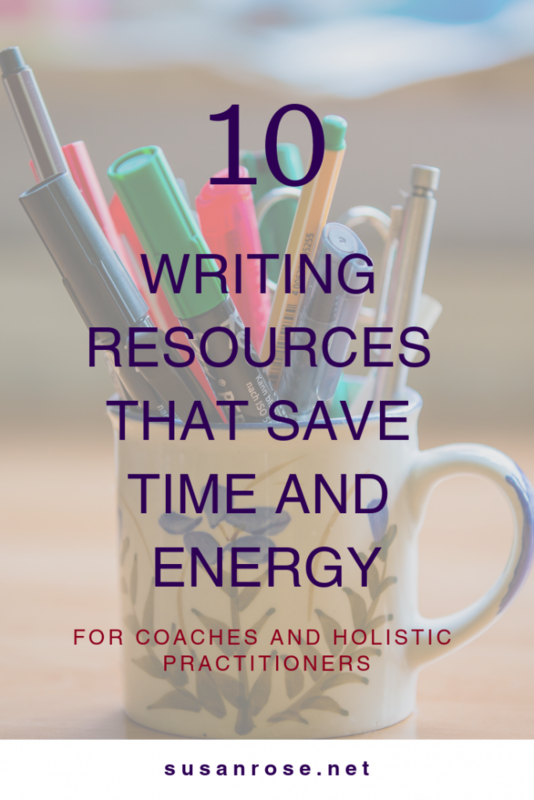 There are hundreds of writing resources for holistic practitioners, life coaches, health coaches, and anyone one in the personal development space. I’ve got you covered. Here are 10 of my favorite writing resources for generating ideas and actually writing. Keywords Everywhere. My favorite idea generator is also my favorite SEO tool. Keywords Everywhere is a free browser extension that shows how many people are searching for any term you write in the search bar. And it provides a list of alternatives. I used it to come up the idea for this blog post. MarketMuse. Type in a topic and MarketMuse will analyzes it, and then give you clear-cut recommendations on what to write. You can also type in a URL and it will give you recommendations on how to optimize existing pages. You can use it five times before you have to upgrade to the paid version. That is nice because you will know if it’s worthwhile. The Blog Topic Generator. Hubspot offers a wealth of free resources for content marketing. This is one of my favorites when I’m feeling a little bit blocked. 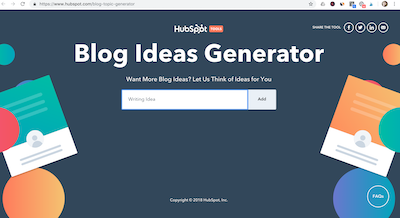 The Blog Topic Generator helps you come up with a week’s worth of titles in seconds. I don’t always find the exact topics it generates relevant. However, they do give me ideas for topics that would be interesting to my audience. CoSchedule Headline Analyzer. Headlines are insanely powerful, and writing them can feel challenging. I love the CoSchedule headline analyzer because it guides me on how to change my headlines to make them stronger. It evaluates how your blog post’s headline will rank in search engines and scores how it will rate for social shares and click-throughs. AP Style Book. Consistency in grammar, punctuation, abbreviations, and acronyms is important for clear writing. The AP Style Book is the official resource most digital publications use to dictate how they will treat these things. The online version is fast and easy to use. If you aren’t sure how to treat something, this will help you. Grammarly. I use Grammarly every day. It’s an excellent proofreading and grammar tool. It helps you catch grammatical errors, typos, and awkward sentences as you type (assuming you’re using the web extension). I like that it checks social media posts and comments in addition to anything you’re typing in your word processor. I primarily use the web extension. But when I’m writing longer articles I will upload the draft to their website for an extra check. Hemingway Editor. Creating clear and simple copy is not only a nice thing to do for your readers, search engines like it too. The Hemingway Editor calculates readability and highlights adverbs, passive voice, and lazy language—the very things you really want to avoid. I don’t follow every piece of advice it gives me, but I follow most of it. Readability Score. This is a close cousin to the Hemingway editor, focused on how readable your copy is. Journalists and copywriters generally write to an 8th grade reading level. A readability score tells you roughly what level of education someone needs in order to read your piece of text easily. I don’t often use it because I mostly write blog posts and my SEO tool also does this. However, whether you use this or something else, I highly recommend it. 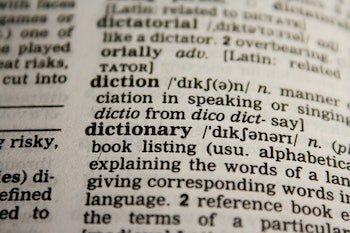 dictionary.com and thesaurus.com. I freely admit it: I’m not a good speller. In fact, I flunked the proofreading test for my first editorial job out of college. I’m pretty sure I couldn’t live without these two resources. My spelling is so bad that sometimes grammarly can’t even figure out what I’m trying to say. But dictionary.com always figures it out. And when I’m using the same word over and over, good old thesaurus.com helps me find something more interesting to use instead. Are there any writing resources I missed? If you have a favorite that isn’t on this list, let me know.